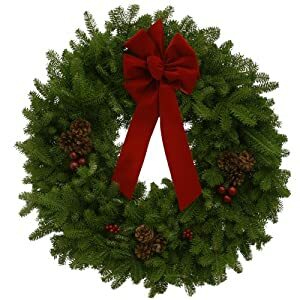 · Order contains (1) 24″ Fraser Fir Evergreen Natural Blueberry Decorated Wreath. 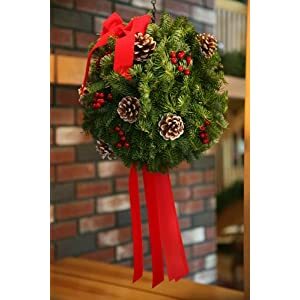 · Uniquely decorated, handmade, and grown in the USA. 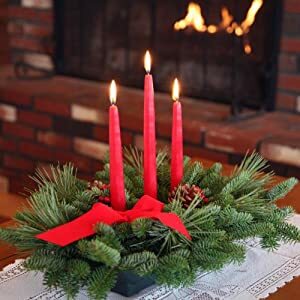 · Freshly cut Fraser fir branches fill the home with the fragrance of the holidays. 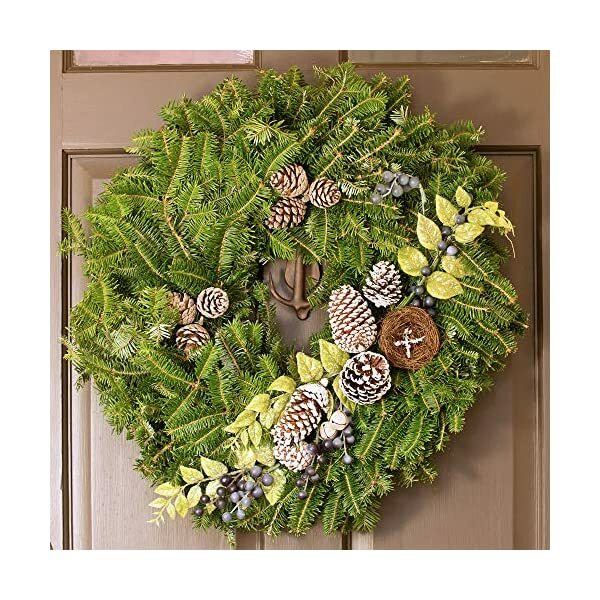 Welcome visitors to your home this holiday season with a 24” live Natural Blueberry wreath. 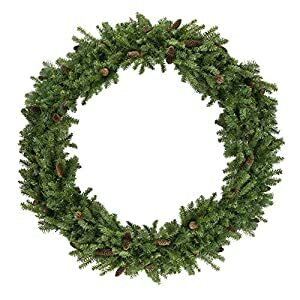 Handmade in the USA, this scented evergreen wreath is perfect for doors, windows, balconies, or any other space that needs a little holiday spirit! 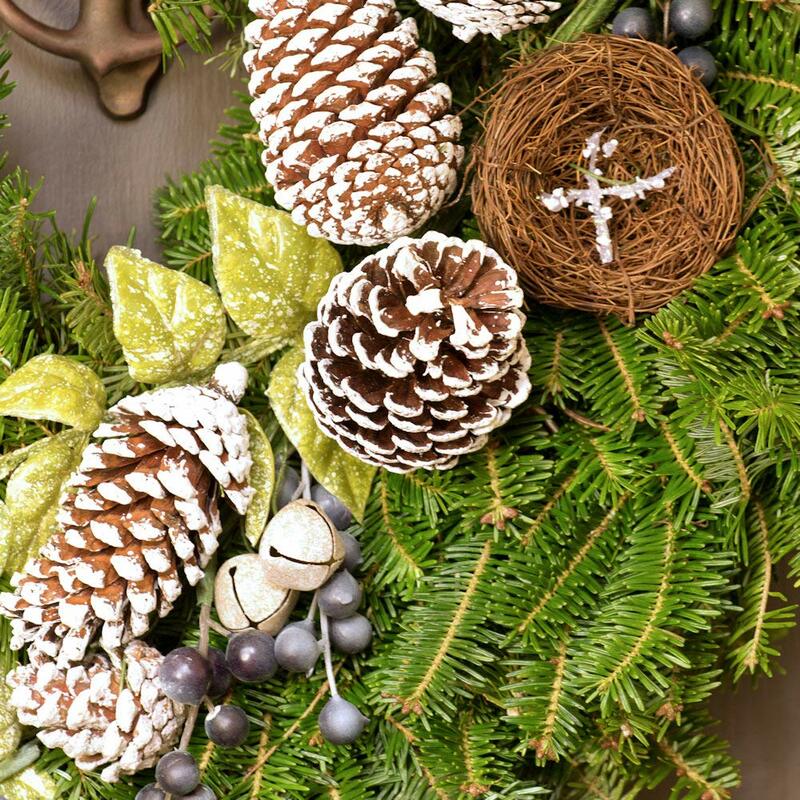 Tastefully decorated with pine cones, a bird’s nest, leaves, and blueberries, this artisan wreath makes an ideal table centerpiece and looks great encircling a candle as a glowing sign of the season. Lift spirits and freshen the air by bringing a bit of the outdoors in during the cold winter months. 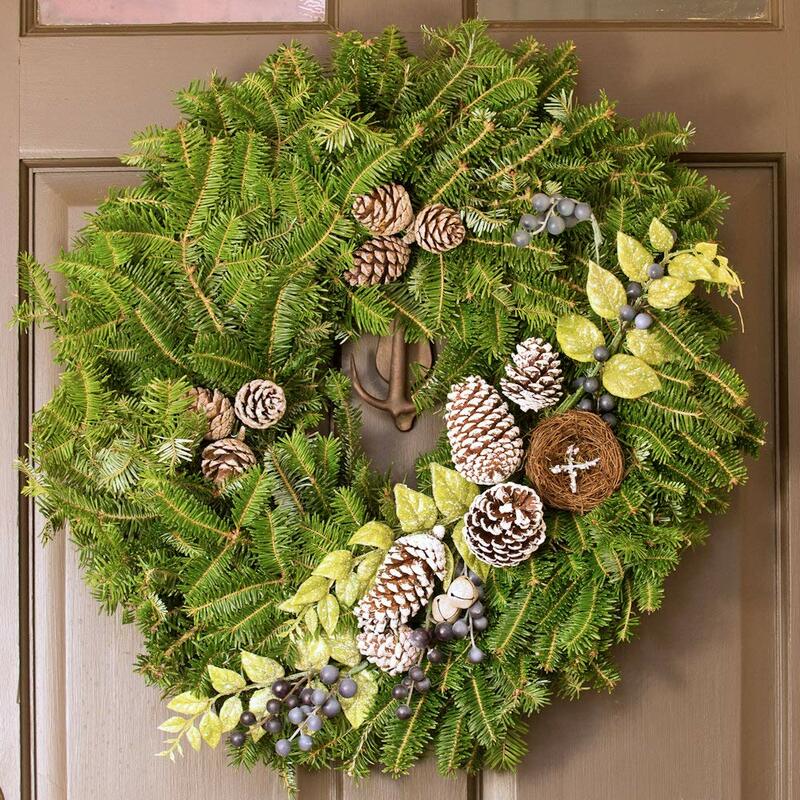 This versatile wreath makes a delightful gift for all those hard-to-buy-for friends and family members! 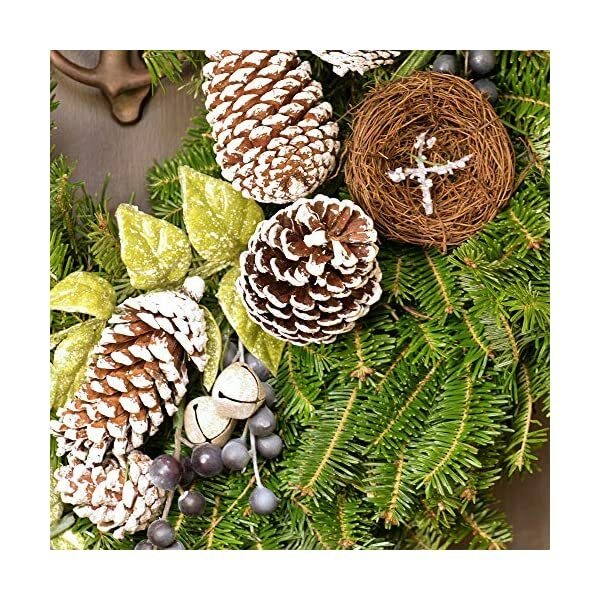 · Dark blue-green in color and decorated with pine cones, a bird’s nest, and artificial leaves and blueberries. · Perfect for doors, windows, pillars, fences, gates, and balconies!